In the computing world, the terminology firewall security refers to a network device which blocks certain kinds of network traffic. Actually, it acts as a barrier between a trusted and an untrusted network. The firewall security wall can be compared to a physical firewall in the sense that firewall security tries to block the spread of computer attacks. Today, businesses have understood the need for firewall security, thereby they have firewall protection in place. The original type of firewall security is the Packet filtering firewalls which works inline at linking points where devices such as routers and switches do their work. It contains a list of firewall security rules that can stop traffic based on IP protocol, IP address and/or port number. In other words, the Packet filtering firewalls compare each packet received to a set of established criteria. The troublesome Packets are flagged and are not forwarded and, therefore, are ceased to exist. On the brighter note, it better to have intrusion prevention in place alongside the firewall security to distinguish between regular web traffic and bad web traffic. In an enterprise network, endpoint security or endpoint protection can be easily achieved using this. The speciality of Stateful firewall is that it examines each packet like the Packet filtering firewalls and also keeps a track of whether or not that the packet is part of that particular established TCP session. In comparison other firewall security this offers more security but imposes a greater toll on network performance. The Deep packet inspection firewall which is similar to intrusion prevention technology, examines the data in the packet, and can, therefore, look at application layer attacks. Due to its similarity with intrusion prevention technology, it is obvious that it provides some of the same functionality. Technically a proxy, it is sometimes referred to as a proxy firewall protection. The Application-level gateways comprise a few of the attributes of packet filtering firewalls with those of circuit-level gateways. One noticeable disadvantage is that the gateways that filter at the application layer offer significant data security, but they can dramatically affect network performance. Define a funnel and set-aside the non-authorized users. Let firewall security monitor the network and computer and when questionable activity befalls, it will automatically generate an alarm. Monitor and document services using FTP (File Transfer Protocol), WWW (World Wide Web), and other protocols. Control the use of the Internet. Simply block inappropriate content. Comodo Endpoint Firewall Protection is the best choice that you have to watch-on and control all the network connections. It enables you to block or allow the traffic according to the rules configured. Further, it successfully deploys the detection and blocking rules required to oversee intrusions and network virus attacks that Trojans employ to infect. Comodo Firewall is offered in the Comodo Endpoint Security Manager suite, beside the antivirus protection and centralized management. Matousec – a project run by a group of security experts who are focused on improving the security of end-users tested 33 PC firewalls, including Comodo Internet Security, each with 84 different tests. For the first time ever, a PC Security product has attained a perfect score, defending PCs against all proactive security challenges. We invite you to test it for yourself by downloading the endpoint protection on five Endpoints for free! Vulnerability Assessment as the name suggests is the process of recognizing, analyzing and ranking vulnerabilities in computers and other related systems to equip the IT personnel and management team with adequate knowledge about prevailing threats in the environment. With the appropriate information at hand, the risk factors can rightly be understood, and the required measures can be defined competently without any delay. Vulnerability Assessment is not specific to one industry and can be applied in all industries ranging from IT systems to Energy and other utility systems. Vulnerability assessment provides deep insights on security deficiencies in an environment and helps to evaluate a system’s vulnerability to a specific threat and the evolving ones. Simply put, an organization can fully understand the security flaws, overall risk, and assets that are vulnerable to cybersecurity breaches. To stay protected and to counter surprise attacks, a thorough vulnerability assessment can fix the unattended security issues. Going by the name, it helps identify possible network security attacks. The scan helps zero-in the vulnerable systems on wired or wireless networks. Server workstations or other network hosts vulnerabilities are easily identified using these scans. In the process, ports and services are examined vigorously. It also provides excellent visibility into the configuration settings and patch history of scanned systems. Wireless network infrastructure is scanned to identify vulnerabilities, it helps in validating a company’s network. It is used to test websites to discover all known software vulnerabilities. Database Scans aid in identifying grey areas in a database to prevent vicious attacks by cybercriminals. Penetration testing is ethical hacking, it is also known by the name pen testing. The given systems are tested which may include a computer system, network or web application to discover defense vulnerabilities that a cybercriminal can make use to exploit. 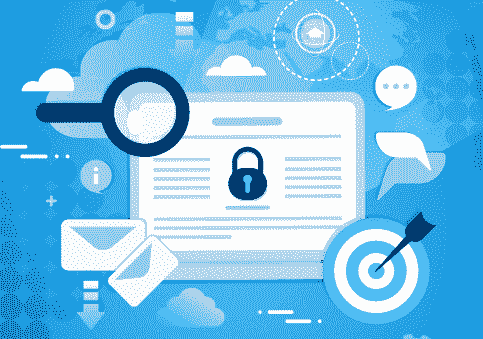 In most of the cases, a vulnerability assessment is often conducted with the help of a penetration testing component to recognize vulnerable areas in an organization’s procedures or processes that might not be detectable with network or system scans. In the technical terms, this process is seldom mentioned as penetration testing/vulnerability assessment or VAPT. Penetration testing is not enough to get complete clarity of the prevailing vulnerabilities, as a matter of fact, it is one of the approaches. The procedure will reveal the appropriate ideas for mitigation to reduce or remove the risks. Furthermore, automated network security scanning tools provide reports on vulnerability assessment which need to be attended through evaluating specific attack goals or scenarios. Enterprises must run vulnerability tests periodically to make sure their networks are safe. This is vital particularly when modifications are made, say for example when new services are added, new equipment is installed, or ports are opened. On the other hand, penetration testing includes recognizing vulnerabilities in a network, therefore it encourages attacks on the system to derive the remediation formula. Even though it is carried out in harmony with vulnerability assessments, the main purpose of penetration testing is to investigate if a vulnerability really exists in the given systems. On the contrary, to prove that an exploit really exists, it can damage the network or application in the process. 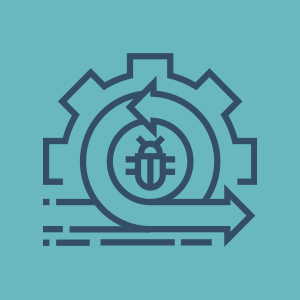 Typically, a vulnerability assessment is customarily automated to include a range of unpatched vulnerabilities, penetration testing usually blends manual and automated techniques to help testers examine deeper of the vulnerabilities. It helps the testers to gain access to the network in a controlled environment. With the data generated from vulnerability assessment, security professionals need to come up with ideas and ways to prevent and provoke online dangers. Grimly, that is not happening as they miss out cull out the right information from its automated report. If rightly approached, this can add a lot of value to the enterprise. For enterprises that aim at gaining a strategic perspective regarding possible cybersecurity threats, the vulnerability assessment provides unique possibilities. What matters the most is the approach, sorting out the list one-by-one, and narrowing down on the issue. When there is a step-by-step approach in place the results from reports can be used to touch higher altitudes. Be it an automated or manual vulnerability assessment tool, the steps proposed here will help you delve into an effective process that is productive and profitable for the organization. Even before you get started knowing your assets and their worth is important, so that you can decide on the critical value for each device. Plainly said, at least know the worth of the device that you have on your network or at least the devices that you will examine. Review the underlying facts whether the device is accessed by everyone in the facility or is it a kiosk or just administrators and authorized users. This information can throw a lot of details that you need to set right. Get details of installed systems before the vulnerability assessment. It is a must to know what they are, what they do, and for who – also review the device open ports, processes, and services. Besides these, get a better knowledge of the certified drivers and software that need to be installed on the device and the basic configuration of each device. Collect public data and vulnerabilities concerning the device program, version, vendor and other related details. Make use of the right policy on the vulnerability scanner to achieve the anticipated effects. Before you run the vulnerability scan, check for any compliance requirements in accordance with the company’s posture and business. Once you have understood these factors, identify the best time and date to run the scan. It’s vital to identify the client industry context to plan if the scan can be run in one single shot or if segmentation is required. Get approval of the policy for the vulnerability scan to be performed. Vulnerability assessment report creation is the last and most important stage of all. It is important to pay attention to the details and combine extra value to the guidance phase. This will help you to gain true value from the report, add recommendations based on the original assessment objectives. Based on the criticalness of the assets and results, add risk mitigation techniques. Point out the potential gap between the results and the system baseline definition. Also, suggest measures to set right the deviations and mitigate potential vulnerabilities. Conclusions drawn based on vulnerability assessment are very useful and are arranged in a way to guarantee the perception of the finding. Vulnerability assessment helps to understand the grey areas to increase the security level of given systems. Cybercriminals target computers, ports, and network systems with a clear goal. Running a vulnerability assessment enables us to understand the network and systems the way these online attackers see them. Comodo provides automated tools to run vulnerability assessments. The HackerGuardian and Web Inspector solutions are renowned Vulnerability Assessment solutions in the market. But, Dragon Labs offers much more than an automated tool can offer. It conducts vulnerability assessment engagements in accordance with the NSA INFOSEC Assessment Methodology (IAM). It implements a cyclic approach to vulnerability assessment to make sure the users are always ahead of the opportunists out there. Comodo Advanced Endpoint Protection software offers 7 layers of defense – antivirus, firewall, web URL filtering, host intrusion prevention, auto-sandbox (containment), file reputation and viruscope (behavioral analysis). The users can try a free 30-day trial before they sign up for the paid version. The Default Deny Security and Cloud-based Advanced Malware Analysis are the highlight of this vulnerability assessment product! Data loss prevention (DLP) is a strategy for ensuring that end users do not send critical or sensitive information outside the corporate network. DLP is also used to describe software products that help a network administrator control what data end users can transfer. Why Data Loss Prevention Software? Data loss prevention software identifies potential data breaches/data ex-filtration transmissions and prevents them by monitoring, detecting and blocking sensitive data while in-motion (network traffic), at-rest (data storage), and in-use (endpoint actions). DLP software products employ business rules to classify and protect vital and confidential information so that unauthorized end users cannot maliciously or accidentally share data whose disclosure could put the organization at risk. A DLP solution depends on a number of key technologies that enable its engine to correctly identify the sensitive data that enterprises need to secure and adopt remediation action to prevent incidents. Today, DLP solutions employ different technologies. DLP technologies are broadly classified into two categories: Enterprise DLP and Integrated DLP. Enterprise DLP: These solutions are comprehensive and packaged in agent software for servers and desktops, virtual and physical appliances for monitoring networks and email traffic, or soft appliances for data discovery. 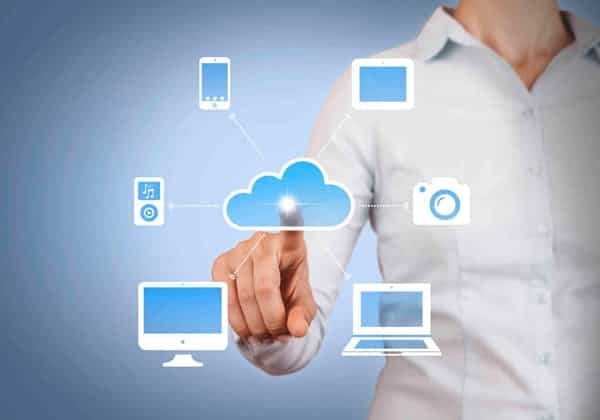 Integrated DLP: These solutions are limited to secure email gateways (SEGs), secure web gateways (SWGs), enterprise content management (ECM) platforms, data classification tools, data discovery tools, email encryption products, and cloud access security brokers (CASBs). Rule-Based/Regular Expressions: The most common analysis technique employed in DLP involves an engine’s analyzing content for particular rules such as 9-digit US social security numbers, 16-digit credit card numbers, etc. This technique is considered to be an exceptional first-pass filter since the rules can be configured and processed swiftly, even though they can be prone to high false positive rates without checksum validation to detect valid patterns. Conceptual/Lexicon: Using a combination of rules, dictionaries, etc., these policies are capable of alerting on completely unstructured ideas that challenge simple categorization. It will have to be customized for the DLP solution provided. Statistical Analysis: Employs machine learning or other statistical methods such as Bayesian analysis to activate policy violations in secure content. Pre-built categories: Pre-built categories with dictionaries and rules for common types of sensitive data, such as HIPAA, credit card numbers/PCI protection, etc. Database Fingerprinting: This technique is also known as Exact Data Matching. It looks at exact matches from a database dump or live database. This is an option for structured data from databases even though database dumps or live database connections affect performance. Why Organizations Need Data Loss Prevention? DLP technology provides IT and security staff with a 360-degree view of the flow, location, and usage of data across the enterprise. It is capable of checking network actions against an organization’s security policies, and also enables you to protect and control sensitive data, including personally identifiable information (PII), financial data, customer information, and intellectual property. When used along with complementary controls, DLP enables preventing the accidental exposure of personal information across all devices. Wherever data lives, DLP has the potential to monitor it and majorly reduce the risk of data loss. Technology controls are becoming essential to attain compliance in specific areas. DLP provides these controls, including policy templates and maps that automate compliance, address particular requirements, and enable the collection and reporting of metrics. DLP provides updated policy templates and maps that address specific requirements, help in the collection and reporting of metrics, and automate compliance. After a policy need is detected, DLP can make the modification as simple as helping a suitable policy template on your system. When organizations fail to adopt the necessary steps to detect sensitive data and protect it from misuse or loss, they are actually risking their potential to compete. Companies that obtain data protection and privacy right can boost their brand reputation and resilience going forward. However, those that get it wrong are likely to end up in financial loss and reputational damage. DLP thus enables protecting critical data and preventing negative publicity and loss of revenue that certainly follow data breaches. MyDLP from Comodo This is an all-in-one DLP solution that enables blocking any data flow containing social security numbers, credit card numbers, or any sensitive information. Symantec Data Loss Prevention Symantec is known for its cybersecurity offerings, both in the business and consumer world. You will also be able to see where data is stored throughout your business, considering the mobile, cloud, and multiple endpoints. Trustwave Data Loss Prevention This DLP solution from Trustwave provides companies with the tools they need to identify, monitor and secure data while complying with external and internal regulations. McAfee Total Protection for Data Loss Prevention This DLP solution from McAfee is highly scalable and can be customized according to your company’s requirements. It is considered to be an intelligent system capable of identifying and prioritizing more sensitive data. 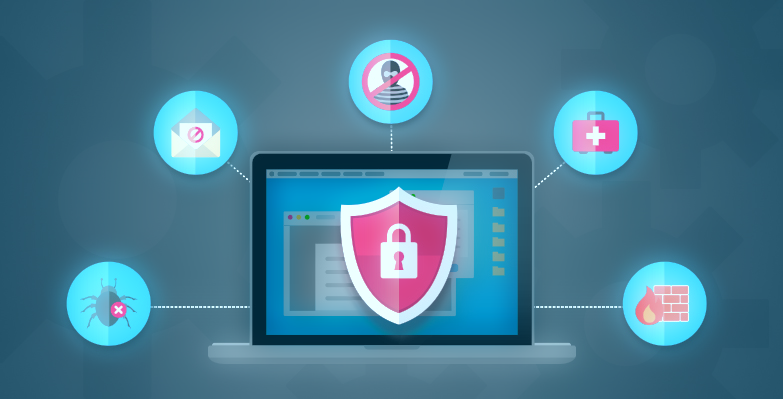 Check Point Data Loss Prevention Check Point’s DLP solution incorporates a wide range of cybersecurity processes to enable businesses prevent data leak or prevent sending data accidentally to the wrong person. Endpoint Security (or) Endpoint Protection refers to the technique of protecting a business network when accessed by remote devices like laptops, tablets, smartphones, or other wireless devices. It deals with monitoring status, activities, and software. The endpoint protection software is installed on all endpoint devices and on all network servers. With the spread of mobile devices like smartphones, tablets, notebooks, laptops etc., there has also been a major increase in the number of devices being stolen or lost. These incidents eventually highlight the huge loss of sensitive data for enterprises, which permit their employees to bring in their mobile devices into their enterprise. This problem can be solved when enterprises decide to secure the enterprise data available on the mobile devices of their employees in such a way that even if the device gets into the hands of the wrong person, the data should continue to be secured. This process of securing enterprise endpoints is thus called endpoint security. Blocks any data flow comprising of social security numbers, credit card numbers, or any sensitive information. Allows customers to confidently and comfortably share their financial and personal information. Prevents sensitive data from leaking through endpoint devices or network connections. Provides data security for mail, printers, removable devices, web, and more. You train MyDLP with your private files just once, and MyDLP will protect them forever. No one will be able to transfer them outside your network. The words “Malicious Software” coin the word “Malware” and the meaning remains the same. Malicious Software refers to any malicious program that causes harm to a computer system or network. Malicious Software attacks a computer or network in the form of viruses, worms, trojans, spyware, adware or rootkits. Their mission is often targeted at accomplishing unlawful tasks such as robbing protected data, deleting confidential documents or add software without the user consent. A computer virus is a malicious software which self-replicates and attaches itself to other files/programs. It is capable of executing secretly when the host program/file is activated. The different types of Computer virus are Memory-Resident Virus, Program File Virus, Boot Sector Virus, Stealth Virus, Macro Virus, and Email Virus. A worm is a malicious software which similar to that of a computer virus is a self-replicating program, however, in the case of worms, it automatically executes itself. Worms spread over a network and are capable of launching a cumbersome and destructive attack within a short period. Unlike a computer virus or a worm – the trojan horse is a non-replicating program that appears legitimate. After gaining the trust, it secretly performs malicious and illicit activities when executed. Hackers make use of trojan horses to steal a user’s password information, destroy data or programs on the hard disk. It is hard to detect! Spyware secretly records information about a user and forwards it to third parties. The information gathered may cover files accessed on the computer, a user’s online activities or even user’s keystrokes. Adware as the name interprets displays advertising banners while a program is running. Adware can also work like spyware, it is deployed to gather confidential information. Basically, to spy on and gather information from a victim’s computer. A rootkit is a malicious software that alters the regular functionality of an OS on a computer in a stealthy manner. The altering helps the hacker to take full control of the system and the hacker acts as the system administrator on the victim’s system. Almost all the rootkits are designed to hide their existence. Even before the internet became widespread, malicious software (virus) was infected on personal computers with the executable boot sectors of floppy disks. Initially, the computer viruses were written for the Apple II and Macintosh devices. After the IBM PC and MS-DOS system became more widespread they were also targeted in the similar fashion. The first worms originated on multitasking Unix systems, they were the first network-borne infectious programs too. SunOS and VAX BSD systems were infected by the first well-known worm of the time called the Internet Worm of 1988. Ever since the advent of Microsoft Windows platform in the 1990s, the infectious codes were written in the macro language of Microsoft Word and similar programs. Malicious Software is definitely a security threat for corporate users and individuals, thereby detecting and fighting malware remains on top of the agenda for many firms. Since the time BYOD culture started to flourish, Endpoint Security and Endpoint Protection have become the topics of discussion in many IT conference rooms. Many corporates today try to implement the best Endpoint Security or Endpoint Protection software to steer clear of the dangers. Remember, if it is an individual system, it is essential to have an antivirus installed and if you already have one in place see to that it is updated at regular intervals. This approach will help you to remain safe during new breakouts. Comodo’s Free Antivirus, Endpoint Security, Endpoint Protection Solutions are your best option for detecting and fighting malicious software. For more details visit our official page!